Belly dancing, baklava, and books!!! 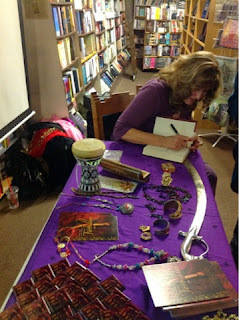 Friday, November 21 was the book launch at Bookworks in Albuquerque, NM for FORBIDDEN by my good friend Kimberley Griffiths Little. The evening started with a belly dancing demonstration. 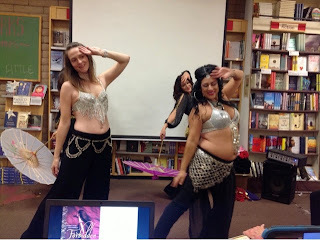 Then everyone in the audience was invited to get up and learn some belly dancing moves. It was quite a workout and now I know how to do snake arms! Kimberley has been working on FORBIDDEN for ten years. I remember the story from its early beginnings when we frequently brainstormed plot ideas together. 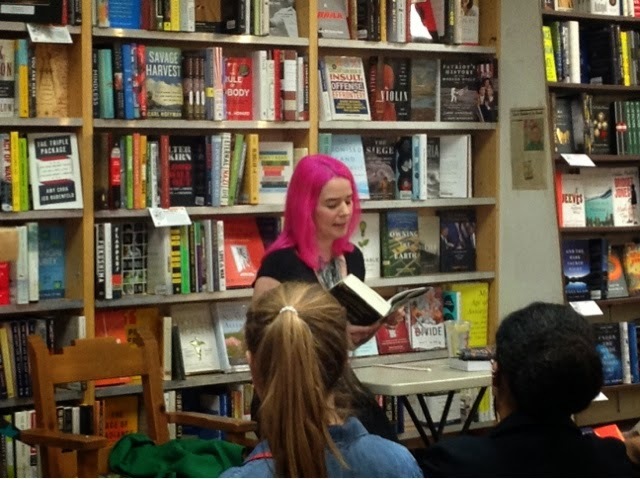 Although she has published many middle grade novels, this is her debut young adult novel, and it's part of a trilogy. FORBIDDEN starts in 1759 B.C. with a belly dancing scene celebrating sixteen-year-old Jayden's betrothal to a young man named Horeb. It's not a good match because Horeb ends up having a violent disposition and a dark past. After a terrible tragedy, Jayden's family gets separated from the rest of their group and must make it to the Summer Lands on their own. That's when Jayden meets Kadesh, a dark and handsome stranger, and begins a forbidden romance. Jayden's family is from the lineage of Ishmael. A little Bible history-- Ishmael was the first son of Abraham by his wife Sarah's handmaiden, Hagar. Ishmael had twelve sons who were later known as the Twelve Princes. His half brother Isaac had two sons. One of Isaac's sons, Jacob, had twelve sons who became the twelve tribes of Israel. Jayden and her family are descendants of one of the twelve princes of Ishmael. Dancing figures prominently throughout the book. Every important occasion and life event is marked with dancing in the Bedouin culture of this era. The book is similar in many ways to THE RED TENT. Kimberley did extensive research which included a trip to the Middle East. Below is a photo of some of the souvenirs she brought back. Congratulations Kim! I'm glad you're part of my writer's journey. Today was Dia de los Muertos and these are my photos from the 22nd annual Marigold Parade in the South Valley of Albuquerque, NM. Marigolds are the flower of the dead and they were decorating everything from hub caps to dog collars. Dia de los Muertos is a much bigger holiday than Halloween in places with a strong Hispanic influence like Albuquerque, NM. In Mexico it's a National Holiday. The festivities start with All Hallowed's Eve on October 31, followed by All Saints Day on November 1, and All Souls Day (or Day of the Dead) on November 2. For interesting insights on the differences between the three dates check out this article. The hood of the car below is decorated with an altar honoring dead family members. The parade ended at the Westside Park and Community Center where vendors set up tents and food trucks lined the parking lot. There were two stages for performers and more altars inside the Community Center to honor the departed. These type of experiences are part of what makes me glad I live in such an interesting and diverse city. On 10/25/14 the New Mexico Branch of SCBWI (Society of Children's Book Writers and Illustrators) held our 2014 conference in Albuquerque. Our faculty included the following: Julie Bliven - an editor with Charlesbridge, Patti Ann Harris - an art director for Scholastic, Liza Baker - an editor at Scholastic, and agent Sara Megibow. 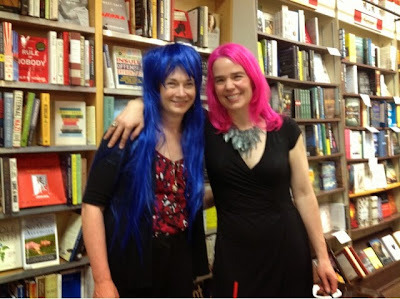 Liza Baker and Patti Ann Harris recently moved from Little Brown to Scholastic. Although they spoke very fondly of their experiences at LB, they were excited to be working in a new department at Scholastic focusing on books for kids ages birth to 5. They have worked closely together for the last eighteen years and even referred to each other as Sony and Cher. They will oversee the Cartwheel and Orchard imprints and are looking for books with playful language that invites young children into the book experience. Liza Baker did a breakout session on Perennial Themes in Board Books and Picture Books which included a discussion on holidays and bedtime stories among many other topics. She strongly suggested taking ideas and combing them and gave the example of Jane Yolen's How Do Dinosaurs Say I'M MAD? Yolen artfully combines the theme of dinosaurs with the need to give kids a vehicle to talk about their emotions. Julie Blivens conducted a breakout session on Voice in Middle Grade Fiction. She looked at several Newbery winners and the characteristics she saw in those books. In discussing how voice should illuminate a central theme, she suggested that authors ask themselves, "What is the idea I want readers to have linger with them after they close the book." Other highlights of the conference was a Children's Book Trivia game on Friday night along with a book launch by local authors with new titles. Saturday included a First Pages Critique where the professional panel gave feedback on first pages submitted by several conference attendees. Thanks to our Regional Advisory, Linda Tripp, our Assistant Regional Advisory, Caroline Starr Rose, and all of the volunteers who helped make this conference possible. It was another great Handsprings Event. I can't wait for the next one. 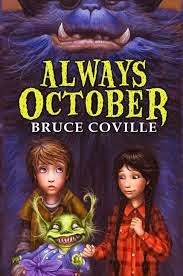 October first I had dinner with Bruce Coville, Jen McVeity, and a host of SCBWI friends. It was the perfect start to October, one of my all time favorite months. We then followed Bruce to Bookworks on Rio Grande where he was promoting his new book, Always October, the world where monsters come from. Bruce said he always wanted to write the perfect book to read on Halloween and now he believes he's done it. "October is the month when magic stalks the world. The light comes in sideways," said Bruce. "October is the best of all possible months, when it seems anything can happen." It's certainly a magical month in Albuquerque, New Mexico with our International Balloon Fiesta and the aroma of roasting green chiles in the air. 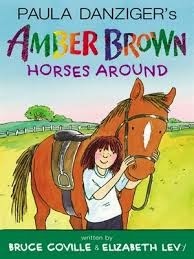 Bruce also talked about the newly released Amber Brown Horses Around and his friendship with the late Paula Danziger, creator of the Amber Brown series. He described how years ago they kept each other on track with their writing goals by calling and asking if the other had finished their three pages for the day. Three pages was the goal. He was quick to say they didn't have to be good pages, they just had to exist. Bruce was approached by the publisher, Putnam, to write the new Amber Brown book and decided the only way he could pull it off was if he worked on the project with Elizabeth Levy, another long time friend of Paula's. Rather than reading from either of these books, Bruce performed a one-man reenactment from the first chapter of one of his earlier novels, The Monster's Ring. 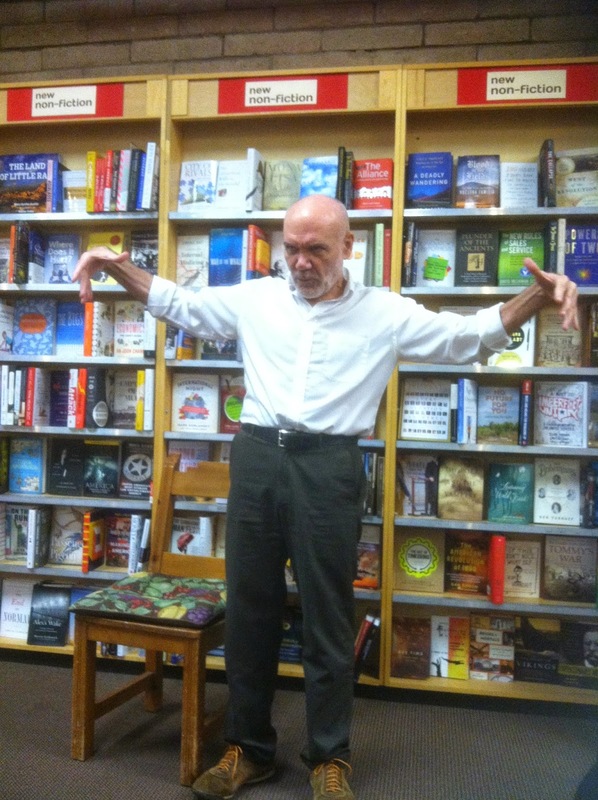 The audience at Bookworks was captivated by his storytelling skills. He said this is the way he opens all of his school visits. Wow! What a treat for kids. Bruce told us about a quote by author Paul O'Neill that he likes to keep on his wall for inspiration. "Always grab the reader by the throat in the first paragraph, sink your thumbs into his windpipe with the second paragraph, then shove him against the wall and hold him there until the tag line." Bruce ended the evening with a list of weird writing tips. 1. Marry rich - For most of us, including Bruce, it was already too late for that tip, but he received the advice from Natalie Babbitt, author of Tuck Everlasting, so he thought it was worth sharing. 2. Take acting lessons - The actor's tools are the writer's tools. An actor's job is to enter a character and that is also the writer's job. Acting lessons are part of the reason Bruce is such a great storyteller. 3. Take singing lessons- This trains you to use your voice properly so you don't strain it. 4. Don't take yourself too seriously. Take the art seriously, but not yourself. 5. Scare yourself - You should always be working on the edge. If you get too comfortable doing what you're doing, you can become artistically dead. No jump, no wings! 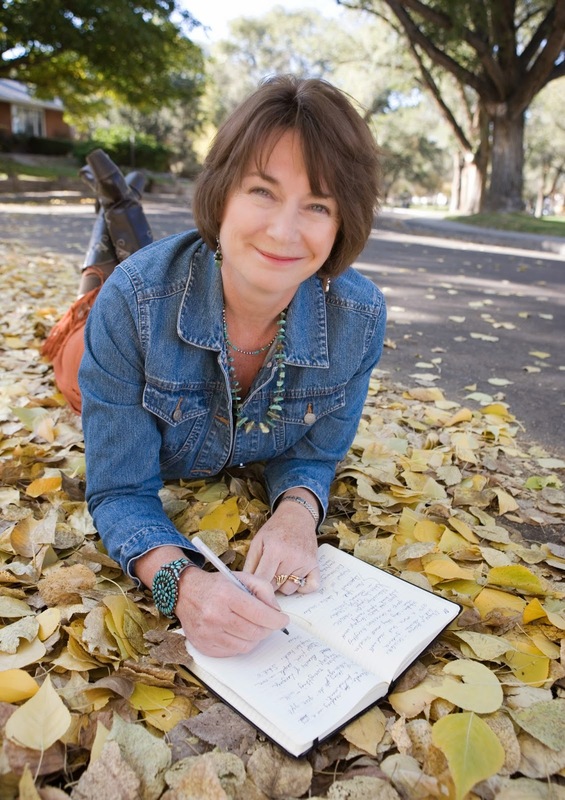 Bruce was accompanied to Albuquerque by Australian author, Jen McVeity, whose Seven Steps to Writing Success is transforming education in the Land Down Under. They were meeting our former SCBWI regional advisor, Chris Eboch, for a hiking adventure in Southern New Mexico. It was truly a magical October night! As part of the Summer Author Blitz going on over at Book Boost PR I will be doing a Q&A over at BOOKS WITH A TOUCH OF ADVICE on Wednesday, July 23. JESSICA COKER is the winner of the free book giveaway. Jessica, please send your mailing address to my Email so I can send you a book. What Kind of Writer Are You- Plotter or Plodder? I've been told there are two types of writers, those who plot out every detail of their story before they begin, and those who plod along, letting their characters take them where they will. I believe I'm a hybrid of these two extremes. A story is a journey. Therefore, to figure out what kind of writer you are, it might be helpful to consider how you travel when you are on a real life road trip. Ask yourself a few simple questions. 1. Are you the sort of person who makes plans weeks in advance, or do you tend to hop in your car on a whim and start driving, content with wherever the road takes you? 2. Do you make reservations with or without a cancellation option? If you book a hotel and pay for it ahead of time with no way to back out without losing all your money, you may be a Plotter. If you don't book the room until you are sitting in the parking lot looking at the Holiday Inn Express sign, you may be a Plodder. If you make reservations with a cancellation option, you are probably a hybrid. 3. 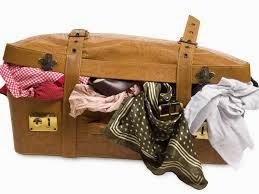 How do you pack? Do you check the weather channel for the five day forecast of your destination city and then plan your clothing accordingly or do you toss a few essentials into a duffle bag and hope to buy whatever else you need when you arrive wherever you happen to land? 4. Do you type out your entire itinerary and send it to family and friends ahead of time so they will always know where to find you or do you expect them to stay informed of your activities through your Facebook and Instagram posts? There is no right or wrong way to plan a road trip and there is no right or wrong way to plan a story. It is helpful, though, to know what kind of writer you are and NOT try to squeeze yourself into the mold of what someone else says is the best way to navigate the writer's journey. If you do that, you may leave people confused when they see your Instagram pictures from the Disneyland Light Parade when the itinerary you sent them clearly states you were planning to spend the night at the KOA Campground in Bakersfield. Know thyself. Everything else leads to confusion. I am posting the short version for the first lesson of my free writing workshop on my blog site. If you are interested in receiving the rest of the series, please sign up HERE. If you have previously signed up for the workshop and you do not receive Lesson One via email today, please contact me. The series will last for four weeks, there is no homework other than what you decide to complete, and the structure is designed so you may move at your own pace. It is summer after all! So... if you are climbing the Swiss Alps you may do the lessons on your phone or tablet or save them until you come down from the mountain. Part One - Learn the twelve steps of the Secret Language of Stories and apply the plot analysis to books and movies. Part Two - Create a 2-3 page plot outline for your own original novel, screenplay, short story or picture book using the structure of The Secret Language of Stories. Part Three - Use your plot outline to get started writing your own original story. Part Four - Make a road map for completing your journey. 1) Learn about the structure of The Secret Language of Stories. B. City of Bones (A young adult novel by Cassandra Clare). D. Romeo and Juliet (a play by William Shakespeare). 3) Create a notebook with dividers for each of the 12 steps, or you may create a computer file. One page per section is enough to suffice for now. 4) Begin filling in each section with examples from books, movies, and plays. This list will continue throughout the four weeks and hopefully beyond. Don't feel like you need to completely analyze one entire book or movie. That might be a stretch if you're just getting started. If you would like to continue receiving Parts 2-4 of this series and you have not already done so, remember to sign up HERE. If you have comments or questions, I would love to receive them at my email. It's officially summer vacation and my FREE ONLINE WRITING CLASS is just around the corner. It will begin on Saturday, June 14, 2014 and last for four weeks. Lessons will be delivered via a series of newsletters and you may unsubscribe at anytime. If you are interested, sign up HERE. You should receive a confirmation email from Mail Chimp. If you don't, please send me an email to follow up. The workshop will be based on The Secret Language of Stories - The story plotting analysis I use to structure my novels as well as to teach creative writing to kids and adults. For a preview check out my SLOS blog page. 1) People keep asking me when I'm going to offer another writing workshop. I work during the school year and only have summers available, but folks are out of town so it makes it difficult to pin down dates. 2) I wanted to create something as flexible as possible. If you don't have time to do a lesson, just save it for the following week. There are no time constraints since it is all online. 3) I'm offering the workshop for free so I can get feedback and fine tune the information. Your input is your entrance fee. Any questions or comments you send to me may be published in upcoming newsletters and books. It's free, it's easy, it's summer, so kick back and have some fun!! Sign up HERE! Check out my plot analysis of HAMLET over at Spellbinders. To read about my plot analysis system, check out my tab for The Secret Language of Stories on this blog. Watch for details about my free writing workshop coming June 14, 2014. 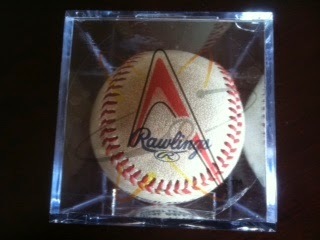 This is it -- the Ball of Infamy. On May Day, Thursday, 5/1/14, the Albuquerque Isotopes played the Salt Lake Bees during the School Day Matinee, a special event for New Mexico students. Buses came from all over the state bringing eager young fans to watch baseball and pig out on funnel cakes, popcorn, and hot dogs. I was on a field trip with some of my high school students, minding my own business, talking to the school social worker (okay, maybe I should have been watching the game a little more closely) when a ball came slicing through the air and hit me. Contrary to rumor, it was not in the head. The two women in front of me parted like the Red Sea and I felt an alarming pain in my left shin. It wasn't until I saw the ball bouncing off of my leg, and back toward the two women, that I realized what had happened. 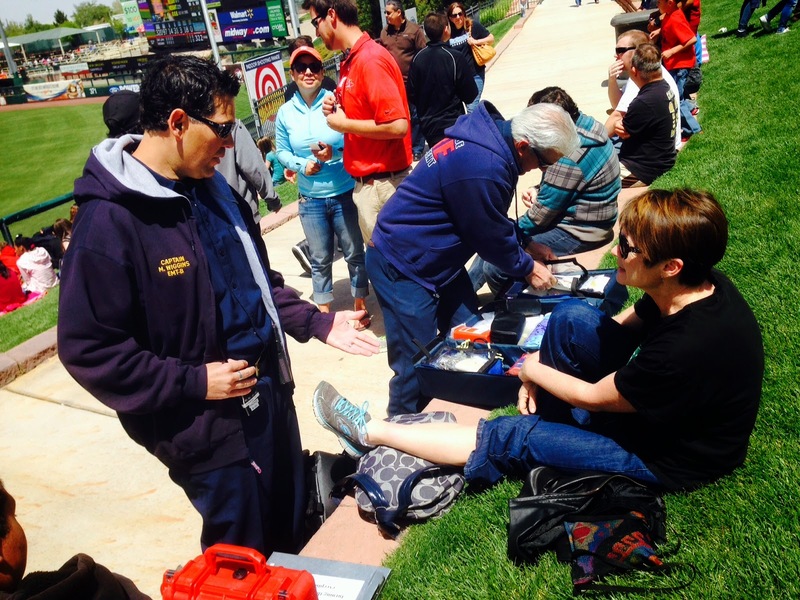 A man who worked for the ball park came leaping toward me asking if I was okay. I told him I didn't know. I thought so. Maybe. Hopefully. I was conscious after all. Soon there were EMTs and a policeman bringing ice and a wheelchair and asking me if I knew where I was and what day was it. They said I could go by ambulance to the ER if I wanted. I didn't. I pictured a four hour stint as I cued up behind gunshot wounds and drug overdoses. As it turned out, Lyle, a teacher I had never met before, offered to drive me to the Urgent Care. Thanks Lyle. Nice to meet you. It all started when we went for a walk with several students in search of funnel cakes. We had left our cozy seats behind third base and ended up on the grassy area at the FAR side of the field where we decided to sit and watch the game from a different vantage point. We never got the funnel cakes. Maybe they did. I didn't. I left before it was over. I found out later that the whole thing was captured on video. Check out this Video of Joc Pederson's Homerun. It is aptly titled Pederson socs one. Watch closely as the ball goes flying over the fence and out into the grass. Paula, the social worker, is sitting next to me in the orange baseball cap. I'm in the black t-shirt. The Isotopes guy in the light blue shirt and tan pants suddenly runs down toward me and people come rushing from all directions. The EMT suggested maybe I should have been watching the game. I was at a dangerous sporting event after all. As he was saying this he had his back to the field, not exactly setting a good example. See photo above. When I got to the Urgent Care, the doctor was more understanding. He said a baseball game was a social event, not just a sporting event and you couldn't watch it every second (especially not when they have to stop after every inning for things like building a human hamburger). That was kind of cool, actually. The doctor may have been more sympathetic because his wife was once knocked out cold after being hit by a hockey puck in the head. But all's well that ends well. The Isotopes beat Salt Lake 3-2. I received a day off of work to elevate my leg, was awarded a clear plastic case for the ball, and got a good story out of it. Only a writer could suffer agonizing pain and still have the presence of mind to ask the nice policeman who wheeled her out the the curb a host of questions, "Was that the first home run of the season, what inning was it, who hit that ball?" "I have to get the facts straight for my story," I explained to him. Wednesday I walked out to my car, discovered I had a flat, and had to ask a co-worker to drive me to ACE Hardware so I could buy an air compressor to pump in enough air to make it to the mechanic's. Turns out I picked up a screw. Thursday I got hit by a baseball and ended up in the Urgent Care. Today is Friday. I'm locking the doors, shutting the blinds, and staying home!! Doctor's orders. The most important stories in the world are the stories about real people. I was reminded of this last month when my father-in-law died. The last four weeks have been a whirlwind of travel, memorial planning, and sharing stories. Right after Charlie's death, I drove down to Texas to be with my mother-in-law. She had asked me to write his obituary and it was something I wanted to do in person rather than by phone. Charlie was a great man who had lived a long and very colorful life. My niece arrived soon after I did and the three of us spent the next few days sharing stories, hunting through the attic for old photographs, and remembering the man Charlie had been before dementia set in and he had forgotten our names. The obituary became a mini-biography. Here is the truly wonderful thing about obituaries, you write them, pay for them, and the newspaper/s prints them. It's a simple yet wonderful (though pricey) way to give a final tribute to someone. No approval process, no rejection letters, though I did get an interesting email from the Odessa American stating that a death certificate would have to be provided due to the submission of "suspicious" obituaries in the past. I'll bet there's a story there! Any story worth telling is worth embellishing. As he grew older, I tried to get him to repeat his stories so I could write them down. I suggested tape recording him. Facts get forgotten over the years and the power of a story is in the details. But he was too modest (or perhaps proud) to retell his tales for perpetuity, so the best I could do was to collect bits and pieces as I recalled them. Charlie had been born in poverty during the depression, served in the Navy during World War II, returned to Texas and scraped together enough money to buy a jewelry/ watch repair shop, and then had lost everything when his jewelry store burned down. He had eventually gotten involved in the oil business and become quite successful, but his road to success was long and difficult. He'd gotten his first job at the age of five, poking a mule all day long with a stick to prod it along as it circled a sugar cane mill in the making of syrup. At the end of the day, instead of paying Charlie cash, the owner gave Charlie's father a jar of syrup. The young boy reeled at the injustice. His father told him, "Son, I have to feed my family." Charlie didn't understand the full significance of that statement until many years later. Every time I visited Charlie at the Alzheimer's facility where he spent his last couple of years, I was heartsick to know that it was too late to collect his stories. Then, as I was writing the obituary, a wonderful thing happened. As people arrived to give condolences and bring flowers or food, they started telling stories. I had my iPad ready, since that's where I was writing the obit, and I started taking notes. The vignettes were so plentiful I decided to write them down and create a collection for the family. As each new person came to visit, I told them what I was doing, and they added to the stories. Most of the tales were hilarious. It was a wonderful way to remember the man Charlie had been, instead of the man he had become in his last few years. I believe that even works of fiction should fundamentally start with a real person. Not necessarily a biography, but something capturing the essence of who people are - their hopes and aspirations and their struggles. And here is the truly powerful thing about writing about real people... It doesn't matter if your audience is the world, your immediate family, or just yourself. The obituary writing process reminded me that the most important stories in the world are the stories about real people. They are tales filled with heartache and laughter. Dreams and despair. They remind us of who we are and where we have been. They enlighten us about our history and illuminate our path. They help us understand where we have been, and if we listen very closely, they just might give us a light to see where we are going. 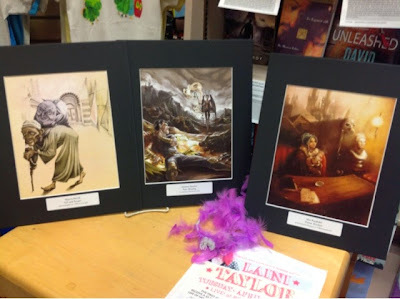 Tuesday, 4/8/14, was Launch Day for Dreams of Gods and Monsters and author Laini Taylor was right here in Albuquerque, NM at Bookworks. Albuquerque was the first stop on her book tour! 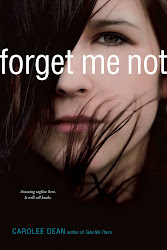 DOGAM is the third book in her Daughter of Smoke and Bone Trilogy. Below are samples of fan art sent to Laini by readers from all over the world. Laini gave the audience some great insights into her writing process. She said deadlines really help her. She always writes most of the book at the end. While working on DOGAM she went to a hotel for 6 days and wrote 20,000 words. The hard part was that it took her six months to write the first 20,000 words. She encouraged young writers not to get discouraged. Sometimes young writers assume they aren't any good because the process is so difficult. She said, the truth is that writing is just hard work and you have to learn to be tough. Laini likes to give herself a word count for the day, usually around 1,000 words. If she makes it, she puts a sticker on her calendar. It may sound silly, but it works! As state mandated tests come your way. In your evaluation and pay. I’m often asked if the hero’s journey plot analysis works for all types of stories, such as those involving tragic heroes, so I thought I’d try it out on one of the most famous tragic heroes in literature – Macbeth. Macbeth is often taught in high school English courses during junior year, making it a pertinent story to analyze. A tragic hero is a character who starts out with great promise. He is usually of noble heritage and held in high esteem by his peers, but a tragic flaw causes a fall from grace. At some point in the story, the tragic hero realizes he has made an irreversible error in judgement that will lead to his doom, but he faces his demise with honor. To read my plot analysis of Macbeth, visit the Spellbinders Blog. 1. You work with freshman and want some tips on how to help them understand the plot of the play. 2. You are a freshman and you can't see the forest (plot) for the trees (iambic pentameter). 3. You want to experience the nostalgia of times past and journey back to your high school English days. 5. You hate Shakespeare but you've always wondered what all the fuss was about. 6. You are a writer and want a better understanding of plot structure. First go here to find the tab on my blog called The Secret Language of Stories to read how I analyze plots. Then head on over to the Spellbinders blog and check the article. On Tuesday, January 14, 2014, author Chris Eboch led a discussion on voice during our monthly SCBWI meeting at the Alamosa Reading Room (the latest addition to Alamosa Books). She discussed the difference between character voice and author voice, pointing out that the author's voice is that unique style observed across a variety of different characters. Editor's often say they are looking for authors with a strong voice, but what do they mean? Chris said the secret is to create a voice that is distinct, consistent, and clear. When people read examples of writing that shows a strong voice, the excerpts are often poetic and beautifully written, but it's important to note that not all strong voices are poetic. Chris prefers a style where she gets lost in the story even if the voice is harrowing or crude rather than literary and poetic. 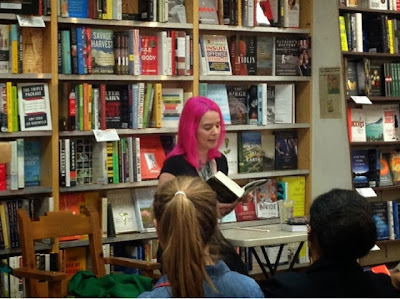 After asking each audience member to write a list of some of their favorite books, she said to look for similarities between books. (i.e.stories with sense of humor, a lot of action, sweet picture books, or angsty young adult romances.) She suggested writers look at their own writing for styles they revisit and trends they lean toward. She concluded by asking - Are you writing what you love? If so, that's a good sign. That was the best advice of all! Chris Eboch will be offering a workshop on voice. See the Details below. Registration materials are available at www.scbwi.org. Follow the links to the New Mexico home page and click on Events or contact ra@scbwi-nm.org. Laurie Halse Anderson was at Alamosa Books on 1/10/14 on tour with her latest novel, The Impossible Knife of Memory. 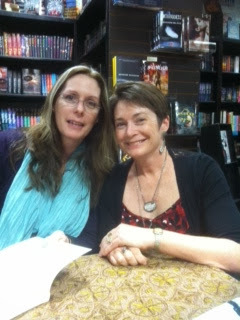 Laurie is a warm and endearing person as well as a fabulous author. 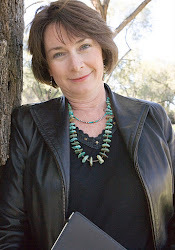 She is probably most well known for her groundbreaking young adult novel, Speak, but she has also written numerous contemporary and historical novels as well as picture books and the middle grade series, Vet Volunteers. Laurie confessed that she had a hard time learning to read and received assistance from a reading specialist in elementary school. Then she caught the reading fire and started reading everywhere. The library became her refuge. I found this aspect of her story fascinating since I work with struggling readers and am always wondering how to inspire them to love reading. Laurie said she has a dream of a literate America where every one reads for fun, surmising that if you still read for fun at eighteen then you will also read for information and learn to think for yourself. Unfortunately, every time we hand kids a book they can't connect with we kill that spirit. Reading canonical literature, written by old, dead white dudes, made English her least favorite class in high school. She understood the value of the classics later in life, when she had the perspective to appreciate them, so she sees their worth, but she also believes we must provide teens with stories they relate to. She suggested teachers read From Hinton to Hamlet: Building Bridges Between Young Adult Literature and the Classics by Sarah K. Herz. One recommendation she shared from that text is to use YA fiction to teach literary devices while tying the teen novel thematically to canonical literature. Many teachers using Speak in the classroom tie it to The Scarlet Letter. 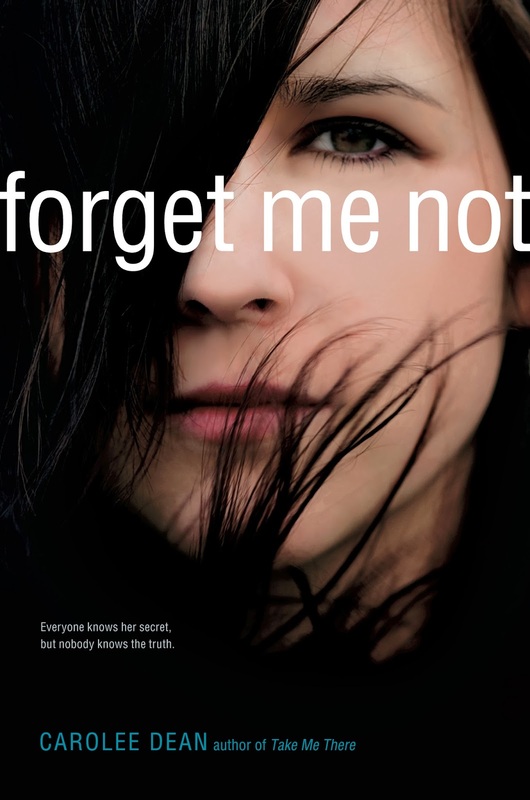 The Impossible Knife of Memory, Laurie's latest work, is about a girl, Hayley Kincain, and her father who have spent the last five years on the road, trying to outrun their demons and their memories. 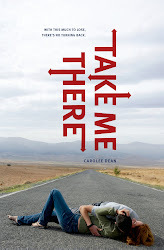 They return to her father's hometown to try to have a normal life, but the only method her father can find to deal with his PTSD is through drugs and alcohol. The story was inspired by the experiences of Laurie's family and her father's bouts with alcohol and PTSD. She shared that during World War II, he helped liberate the inmates of Dachau, one of the most notorious Nazi concentration camps. Her father was working on a college campus during the Vietnam Nam era and it caused his experiences at Dachau to come back to him with a vengeance. He fell apart and lost his job. They lost their home. She said her father now has dementia and sometimes can't remember her mother but he wakes up screaming, remembering Dachau. Laurie ended her talk by stating that one of her aims as an author is to produce literature that connects with the spirits of young people. Anyone who has read her work knows she had definitely accomplished that mission. Thank you for another fabulous story!